All you need to know about having a new driveway installed including costs of materials, labour and overall time to complete the job. If you're looking at having a new driveway installed, the cost is going to be the biggest factor. As such we've put together this article giving a full breakdown of the different labour and driveway material costs as well as an overview of what the job will entail and how long it will take. A new driveway will instantly improve curb and aesthetic appeal for your home. However, it will also improve the practicality of an otherwise unusable front yard, which simply has dead grass sitting in it. If you are trying to decipher between tarmac or asphalt, pavement design patterns, or choosing the right tradesman to do the installation, this post will help you through the decision making process. In addition to helping you find affordable pricing when hiring a specialist, you will also learn the pros and cons of different material options and reasons why you should consider making this investment. Installing a new driveway requires plenty of work; this is not a small job any homeowner can invite a few friends over on the weekend to tackle. Initially, driveway installation specialists will level the ground they are working on. This involves removing grass, dirt, debris, and sediment from the area. Creating an even, level ground for installation is imperative for the driveway to function, avoid sloping, and look the best it possibly can. Once level, the area is measured to determine the best methods for installation. Regardless of the material chosen for the new driveway, the base needs to be solid as it needs to withstand heavy loads. The base also needs to be sealed to prevent any weeds from growing through and potentially damaging your new driveway. Once the base is ready, your tradesmen will begin to lay whichever material you've chosen for your driveway. 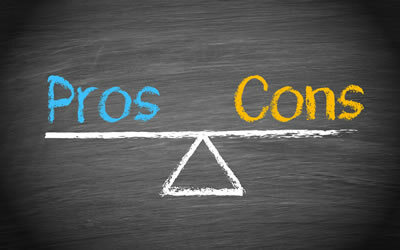 There are around a dozen options for this with each having their own pros and cons. Block paving for example can be done in many styles and colours, looks great, but can be prone to sinking if the base installation isn't strong enough. 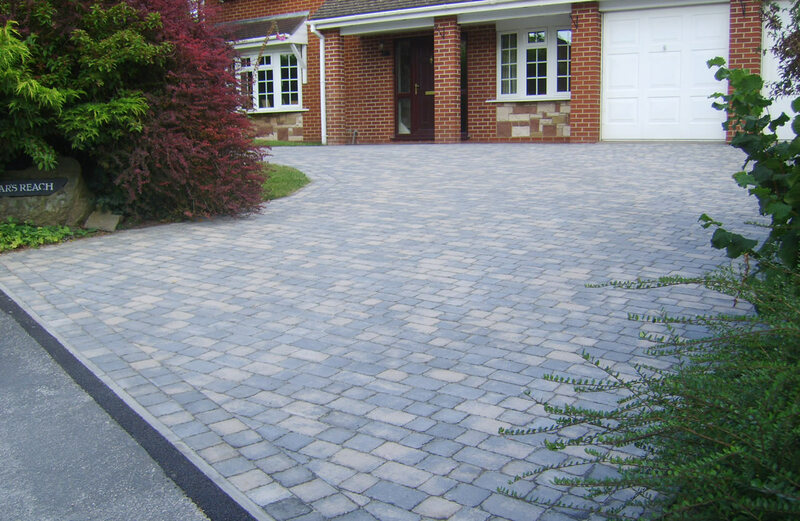 The cost of block paving a driveway is also one of the more expensive options, not only is the material per sq. metre higher, but it also takes longer to lay and seal. So, when choosing the material for you, consider the overall costs, any ongoing maintenance that's required as well as any potential pitfalls. Once the base is mixed, this will be evenly spread using pourers and other commercial-grade equipment. Leveling will be done, to ensure a smooth base, and once completed, this will sit to dry for several hours (depending on the area of the driveway, possibly 1-day or more). Once completely dried, the contractors will remove any deposits, sediment, and even out areas where bubbling or other deviations are visible. After the initial layer is laid down, a coating or protective sealant can be applied over the driveway. This will not only help with weather and water-proofing, but will also help to prevent erosion, cracking, and deterioration over time. A single coat, or double coat will be applied, and let sit to dry upon the driveway. Once dried, design aspects can take place. This might be installing pavers around the driveway, design or detail work around the driveway, applying a coat which will make the driveway shine, or other specific design aspects the homeowner would like included. The material, the size, and the design elements you decide upon, are all going to have an impact on the installation process and the time it will take to install a new driveway outside the home. As a homeowner, not only should you work with a trained specialist, but inquire about the different materials, protective coating, and detail work, to ensure the final outcome looks exactly as you want it to appear. Asking for pictures of previous work can help with this. Only by hiring the most qualified specialists, are you going to be pleased with the outcome, and know that your new driveway is structurally sound, and can withstand the weight/cars, and traffic, which will cross it daily. Here you'll find a breakdown of the costs of having a new driveway layed. 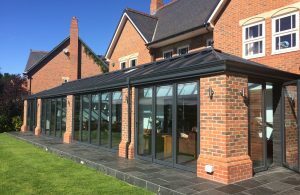 Please bear in mind that this breakdown is just an average and this ratio can vary greatly depending upon your location, the company/tradesman you hire, and the material you choose for your driveway. Choose which the material you plan on using and drag the slider to match the area of your new driveway. This driveway cost calculator includes estimated labour costs as well as materials. Please note that prices can vary from company to company as well as depend greatly on your location. These figures assume that the work is a typical job with little to no additional work required. A new driveway is instantly going to boost curb appeal. But, it is not only the aesthetic appeal which is a benefit of having a new driveway installed. It can also create usable space. If you're converting a section of your garden into a driveway then you're going to be adding considerable value to your property. A new driveway will also help protect the foundation in front of the home; this will help preserve your property, and ensure it remains structurally sound, for the time you live in that home, and ultimately after you sell it. Materials and tradespeople costs, the time it takes to install, and setbacks, are a few of the drawbacks of having a new driveway installed. Even if you hire the most qualified individual, there is always the potential for setbacks, or them running into unexpected issues. This is one of the major cons of having your new driveway installed. The cost is also a factor if you are choosing very high-quality driveway materials, doing decorative work on the driveway or boundary, or if you have to do additional work to the foundation or level the ground, before the new driveway can be installed in front of your property. Instantly improve curb and aesthetic appeal of your property. Reduce "dead" space, and create more usable space for cars. Preserve the foundation and grounding which can get damaged, without a solid foundation/base laid down. The cost of installing a new driveway can easily climb with setbacks, material cost, and decorative aspects. Time required to install the driveway may take longer than other projects. It isn't a simple job, so DIY projects aren't advised. Installing a new driveway is typically a fairly simple project for a professional; with this being said, setbacks can occur. If there are issues with leveling, stability, or area, these have to be taken care of before laying down the paving for the driveway. If there is damage to the perimeter of the property, this can also cause increased cost and time to complete the work, as specialists have to survey the property before moving forward with the installation. If you plan on doing design work, or custom-ordering material, setbacks and delays can occur at the manufacturing stage. Since these items aren't readily available, the contractors will have to wait on a supplier, so they can't begin any work until they have all materials. If delays occur from the supplier/shipper, this is ultimately going to set back the entire project completion date for finishing up the installation of your new driveway as well. Homeowners must consider additional costs. If more supplies are required, equipment, or if additional excavation or foundation work has to be performed prior to installation, all of this will increase costs. You might also reconsider the material your planning on utilising for your new driveway, and instead opt to lay down a simple concrete base. 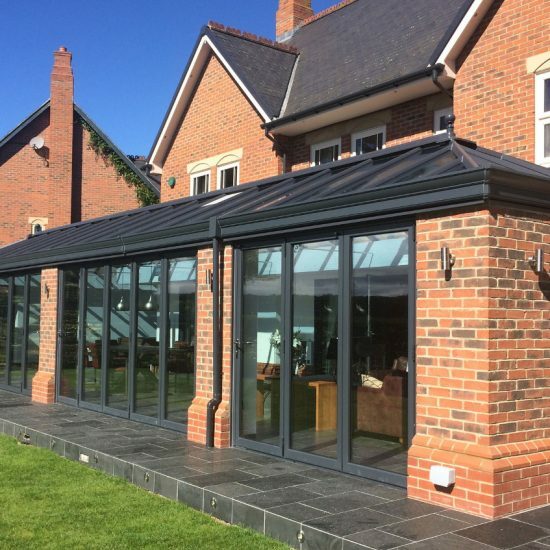 Although not as decorative in nature, it is a cheaper option for the most part, very hard-wearing and is a job which can typically be completed in a shorter period of time as well. Homeowners must account for delays and should consider money-saving options instead of installing a new, decorative driveway, before having any work done. Getting a few quotes from local tradesmen is an easy way to help you determine which project to complete, how to budget accordingly, and ultimately, how to decide upon the work you want doing and whether or not you can afford it. Also consider possible zoning issues, planning permission restrictions, and permit requirements, prior to commencing the installation of your new driveway. You don't want to hire a contractor, simply to learn they aren't qualified, can't do the job, or don't have the proper documentation to complete the job. So, rather than simply think about the fastest and cheapest option, make sure you take your time and do the research, compare quotes, and ask important and relevant questions. And, for those who are considering a quick DIY Project, this isn't the job to try it out on! It is best for you to hire a professional, and even though it is going to cost more upfront, the work is done properly, efficiently, and you won't run into unexpected issues. Which material is best for my driveway? The foundation, ground below it, and your personal preference, are all factors which will impact your decision. Some prefer simple cement or asphalt, others prefer a decorative tarmac finish, while some homeowners prefer a limestone or other material finishes. Consider the location, cost of materials, and the detail work you want to see, as well as your budget, when deciding upon which material to choose. The size of the area being laid down, as well as preparatory work and waiting for supplies, will impact this answer. On the shorter end, you can expect to have this job completed in 3-5 days, which includes allowing the area to dry and seal it. However, a larger driveway, delays, permit issues, or other issues can extend the project to 2-3 weeks, or more for the project completion. Can I install the driveway myself? This is not an easy job, it should be left to a licensed specialist, and it is the job that if not done properly, can really cause unnecessary additional expenses for you. So, if you are debating whether to hire a company or try to install a new driveway yourself, you are far better served to allow the pros do the work for you. Your material selection, size of the driveway, location/where you live, and ultimately the contractor you hire (reputation), are all going to affect the cost. For homeowners who want to save, while hiring the most qualified specialists, shop around, compare, and use review sites, to help you get a better idea of who to hire, and how much you should be paying for the job. To get a good idea as to how much material and labour costs will be, make use of our driveway cost calculator above. Is it worth the investment (time/money)? This is ultimately a question only you, the homeowner can answer. For the most part, it is well-worth the investment. The ROI (return on investment) of a new driveway is huge if you plan on selling your home. In terms of appearance, it is also greatly going to increase the appeal of your property. For most homeowners who make the investment, they find it is well worth the cost.